Impressive and spacious custom built home by Reliable Homes Inc. 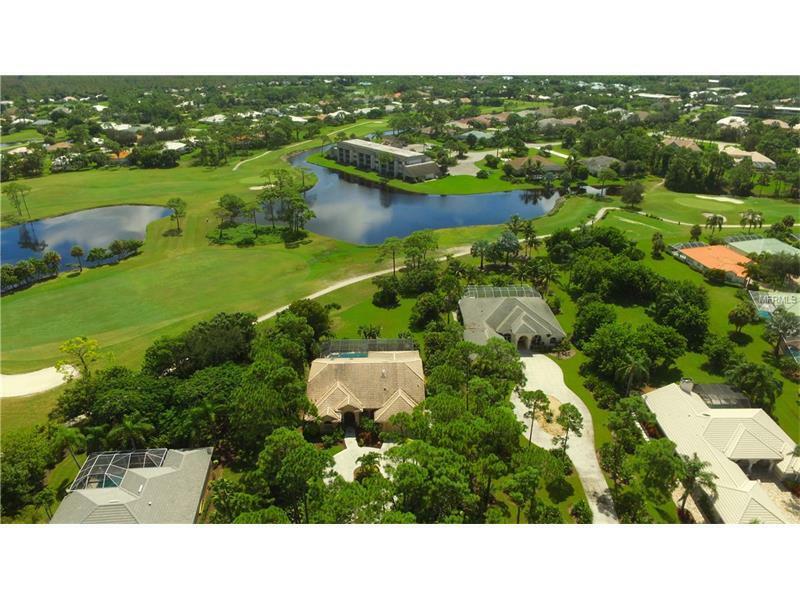 This 2004 home is set back 165 feet from the road for added privacy on over-sized .61 acre golf course lot. The moment you enter the double door entry into the foyer you'll be amazed by the spacious open floor plan, high ceilings and the view. This homes interior features a formal living room, dining room, breakfast nook, family room with zero corner pocket sliding glass doors to lanai, three bedrooms, two full baths, one half bath, large lanai with wet bar and heated swimming pool with spa. The large open kitchen is sure to impress. Center island, brushed stainless steel appliances, glass front cabinets and plenty of storage. Current owner is utilizing the formal living room as a dining room. The exterior features storm panels, mature landscaping, circular driveway and an over-sized two car garage with side garage door for golf cart parking.